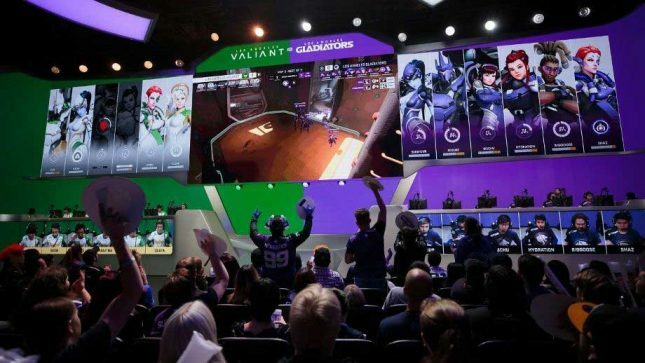 The Overwatch League has made a big deal with some major broadcast networks that should mean greatly expanded coverage for the gaming league. Overwatch League will be coming to ESPN, Disney, and ABC family of networks. The announcement was made Wednesday. The broadcast deal spans multiple years and kicks off on Wednesday night with the Season 1 grand finals from Barclays Center in New York airing this month. Overwatch League Season 2 will air on the networks next year. The league will air on the flagship ESPN network, ESPN2, Disney XD, and ABC along with streaming services of the entire term of the deal. This deal means that there will be hundreds of hours of live and highlight programming across those four networks. The deal complements rather than replacing deals in place already like the Twitch broadcasts reports ESPN.